Games are created on Loquiz PRO webpage but played using events in Loquiz app. It is really easy to start a game – you just need a mobile device, Loquiz app, internet and login credentials. Loquiz app can be downloaded in Google Play and in App Store. The following text is about starting games, read more about testing here. When Loquiz app is opened, login screen is displayed. You can see the app version number, make sure you have the latest version! 1. Enter your Loquiz PRO login credentials (email and password) to the app. As Loquiz PRO user, next you will see the list of all opened events. Alternatively, you can log in with the event-specific username and password. When logging in using those, only one, the specific event is shown. Event-specific username and password can be edited when event is created. You can use event-specific username and password to enable somebody outside your organization to play the game you created. Next screen you will see is the events list where one or more events are shown, if you logged in with email. Only events with status “Open” are listed. 2. Press “Load game” to download the game to the device before the players arrive (you need internet for this). Then you have a preloaded game and welcome text displayed when you hand out the tablets to the players. In all cases user is logged out right after game is loaded to the device. So you can safely login with your own username and password, players cannot open and test other games created by you. 3. Brief your players about the game before you hand out the tablets to the players. They can be divided into teams and have a team leader. 4. Ask team leaders to pick up the tablet or just hand them out. 5. Let teams insert the team names. For this teams have to press start button, enter their team name and then game will begin. Entering the team name, starts the game timer countdown! In this step, internet connection is needed devices to start playing. If you facilitate the game on players own devices, then first brief them, let them download the app and then tell them the event-specific username and password to load the game and start. Read on about Resuming the game and Continuing the game in instructor problem solving page. If Loquiz app is installed then games can be started using URL link or QR reader. for example this is a fun little dog name game to try out… 😉 Clicking the link in your mobile browser starts Loquiz and fills in the username password. 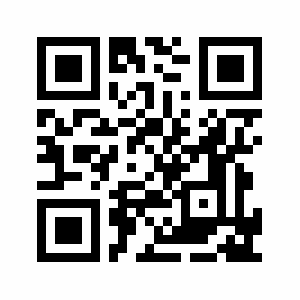 You can also turn the same link into QR code online. For example here. This will give you the QR code to start the game using QR reader on your mobile device (newer devices have QR readers built into the camera apps, older need standalone free applications). NB! Loquiz app needs to be installed on the device to use the URL or QR to start games.